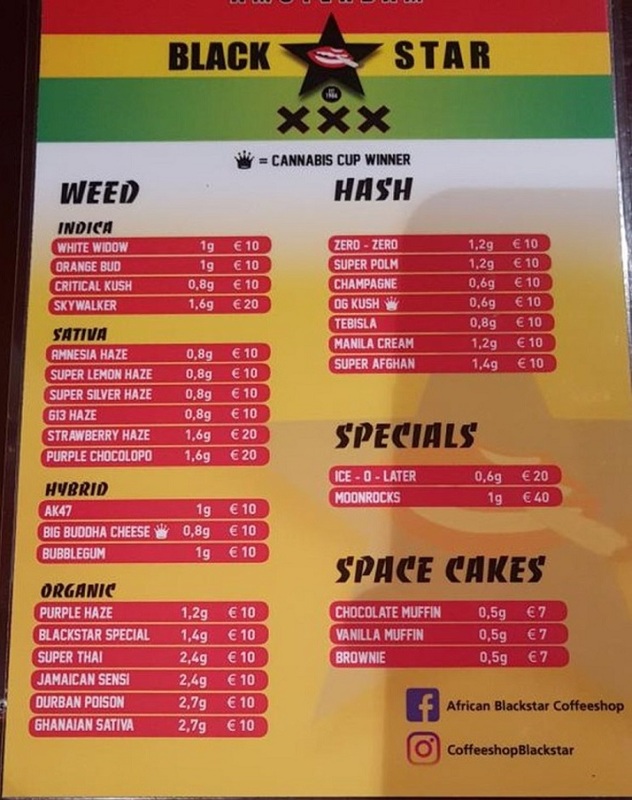 Coffeeshop African Black Star ligt op de hoek van de Rozengracht en de Keizersgracht, schuin tegenover de prachtige Westertoren. Anne Frank huis en Paleis op de dam op slechts een paar minuten lopen. The place was recommended by a good friend who's a coffee shop train-spotter. I've been across a good few times, once with my coffee-spotter friend, and on that occasion I was ready to chin him in the end because we were tripping so far across town as he ticked the (remaining) shops off his list. However, we never made it to Black Star, so he made a point of giving me the address. We were over stopping on a houseboat for my mate's 40th birthday gig so were a good half hour walk away, but it was worth it. I generally prefer the more old-style strains so was very pleased to find some high grades, Jamaican import, grown in the ground and under the sun. Also, we sat down for a coffee and one of us starting checking his phone for the EPL football scores; your man on the counter spotted it, changed the channel over without being asked to put the match that my mate was looking for on his phone. Chilled place, good weed, excellent attitude. Worth the walk from town - you can tram it nearby too. Gets 4 stars not 5 because otherwise there's no room for improvement. Thanks for the good time spent, Black Star.